cheerleading.com.ua » Новости » Ukraine will host the stage of the EuroLeague on 2-3 March in "Lokomotiv" of Kharkiv. The Stage III of The EuroLeague Season 2019 will be held in the framework of The National Cheerleading Championship. The world's leading arbiters, who have a great experience in world and European championships' judging, have been invited to serve on our tournament. 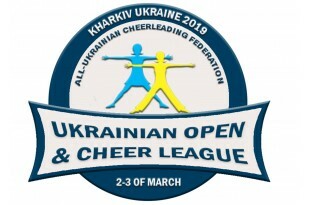 All-Ukrainian Cheerleading Federation heartily welcomes the European teams (members of ECU) to take part in the stage of EuroLeague and National Ukrainian Championship. You are able to fill in the application form at the website of our federation or ECU. We are looking forward to seeing you soon in our land of hospitality.